They’re stern but warm; a bit distant but caring nonetheless. Your dad is your anchor. He deserves the best gift on Father’s Day. And the best present isn’t material, according to psychology professor Dr. Thomas Gilovich, in his interview with Fast Company. He said that people feel less excited about phones and cars over time. Gilovich recommends that if you want to make your loved ones happy on a special occasion, give them unforgettable experiences like museum visits or travels. Here are great Father’s Day gift experiences your dad will never forget. If you’re enjoying a sport right now, it’s probably because your dad got you into it. It’s time for you to return the favor. For example, if you were both reliant on mom to do all the cooking, take a cooking class. Do you share any favorite musicians? Register for music lessons. If you’re both massive basketball fans, try a vastly different sport like golf or tennis. You can’t go wrong with registering for language lessons, too. Learning a new skill may be challenging, but it’s worth the bonding experience you get together. Plus, learning skills may improve memory for older adults. Good beer and cigar aren’t always available to everyone. Make your dad’s day special by taking him to a craft beer or wine tasting event. If he appreciates a good smoke, roll some cigars to celebrate the day. There’s nothing like the taste of a complex brew and fresh tobacco. Remember when dad built you a tree house? It might be time for a new project with him. Try to create a simple birdhouse. If you’re ambitious, plan out a new shed. Sure, it’ll take some elbow grease, but it pushes both of you to work together. In the end, you’ll be giving your father two gifts: a new structure in his backyard and quality time with his child. Father’s day is smack in the middle of summer. What better way to celebrate it by going to the beach? If you’re living in a cold area, you might want to check out cities like Fort Lauderdale or Santa Cruz. The warm and sunny weather will get your dad and the rest of your family to relax after months of work. You can also hit two birds with one stone and learn a new skill, as well. Try to register for surfing or scuba diving lessons. You’ll have the time of your lives laughing at each other’s wipeouts and exploring the wonders of the ocean. These experiences require early and thorough planning, though. Make sure you call for reservations and save money months before the big day. It’s a lot of work, but seeing your father happy is worth more than anything else in this world. Cigars make for better and more relaxed conversations. Here at Cigar Stud, we give our customers a one-of-a-kind smoking experience with our cigar rolling events. Our staff is trained to interact with audiences young and old. 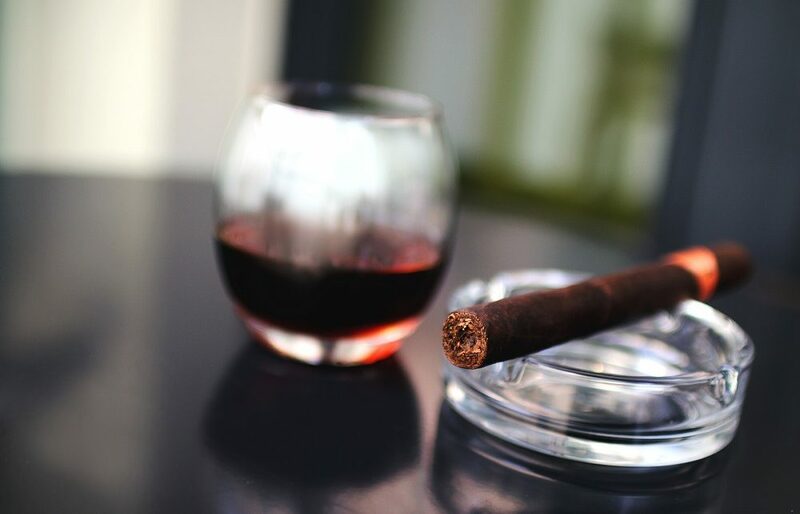 All your guests have to do is to relax and enjoy their fresh tobacco from a master cigar roller. Book us today for a cigar rolling experience like no other.